Been keeping myself busy today decided to clean up the wishbones I was given by aggy a clean up. There just standard wishbones with meyle hd p bushes, powerflex front bushes and new ball joints . Hopefully these will last abit longer than my stock ones. Just got my black cab sun visors through and fitted em. Really cant wait to get the material to retrim the roof lining! Like the roof handles! I thought about getting cabby visors but in the end just got mine flocked. Could be that or top mounts are shot. after this i was just fed up of the overall condition of the car, had just had a new window screen and the tape had pulled a large piece of laqueer off. Various panels where many shades of red, stuff needed smoothing, so in the end i went a little mad and bought some montanna graffati paint. Best diablo estate I've ever seen buddy! Once the boot badge, roof bolts and aerial had been filled and smoothed i began spraying. Now this was never gonna be a picaso piece lmao, but the intention was to get the finish good enough so that if i ever got the money to send it to the shop it could still be done. so after spraying it i realised i could actually polish the finish which brings me to a dilema.... flat gloss red (basically diable without the metallic flake) or leave her matte? Im with Matt, get it polished up. looks good when you get bored polish it maybe? Finally made a start on the suede roof lining tonight. Can see it being an arse to get bag in as never realised just how much was involved with taking it out. Managed to get the material perfect, even round the sunvisors but sods law i ran out of glue when it came to sticking down the edges. P.s any one know the best glue to stick the lining back to the roof? Will the same carpet glue work fine? Well paid day turned into a little treat for the pug finally ordered the new cambelt kit shes been screaming out for. And a full service kit as I may have neglected her. Well my stud conversion and bolts finally arrived the other day these were a bit of a pain to put in but found the easiest way was to lock to bolts onto each other on the thread and then use these to wind the stud into the hub (of course using loctite!). After I had bought my wheel nuts i started hearing alot of horror stories about running aluminuim nuts, and to top it all of turns out the nuts of ordered are well known to strip the threads if your not carefull. Luckerly when I ordered the studs I ordered them longer knowing I wanted to use every last thread in the lug nut for security. Once on I got my matching dust caps on (as you have to) and took a couple of pics in the fading light. How have I never seen this before? Love the wheel set up! 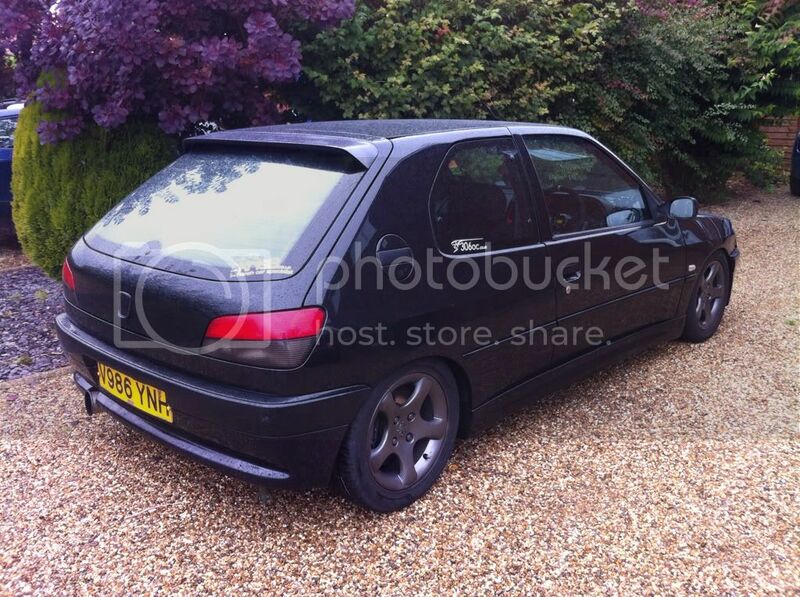 JJ, you the lad with the blaze 306? (24-10-2014, 10:54 AM)dr_jekyll Wrote: JJ, you the lad with the blaze 306? 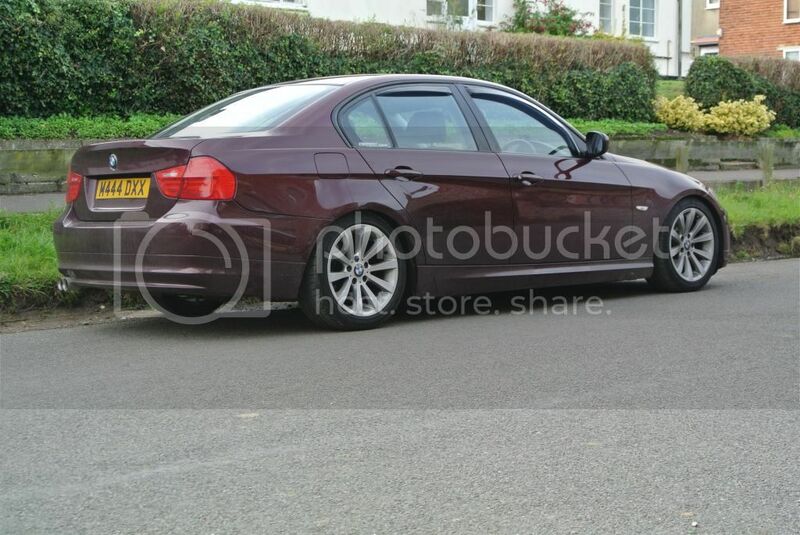 No, a purple/dark red E90 3 series lol. I had a blaze 306 a couple of years ago for a little while, but don't think it ever went to Fakenham! 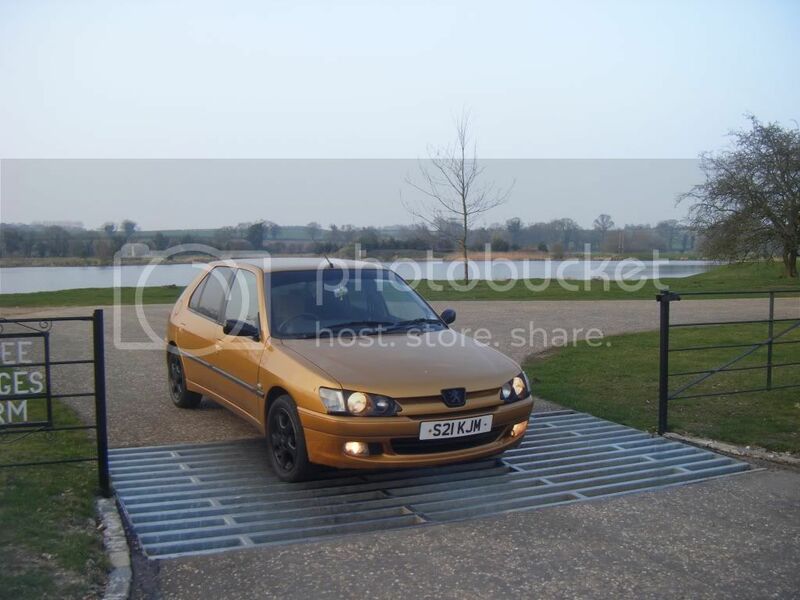 I did sell it to a chap out between fakenham/wells way though. There was a lad from fakenham on here a while ago that i've seen around alot, he had a china blue 3dr, think it had a bonnet scoop. Last month or so ive had a chronic knock and finally discovered it, i'll just casually leave an old v.s new photo of my top mount and see what you guys reckon. Also, at what point do you consider your car too low? Still want to drop another 15mm ? Its one thing after another atm lmao. Driving along last night and give it a foot full to hear a loud bang and tge car try and violently ditch itself. Any way had a little look tonight and was greeted by this wonderful engine mount. Only upside is it has not worn the famous hole in the chassis.